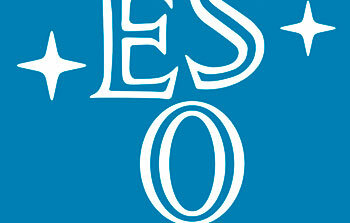 3 December 1992: The Council of the European Southern Observatory , meeting at the ESO Headquarters in Garching on December 1-2, 1992, has decided to initiate a Programme by this organisation, aimed at supporting some of the scientifically most active and internationally highly esteemed astronomical institutes and research groups in Central and Eastern Europe (C&EE). 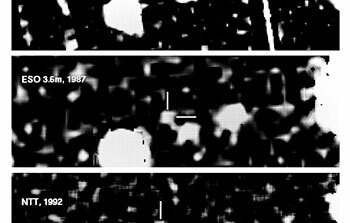 13 November 1992: Based on observations just obtained with the ESO New Technology Telescope at La Silla, a group of Italian astronomers  have securely identified the optical emission from the mysterious GEMINGA object. 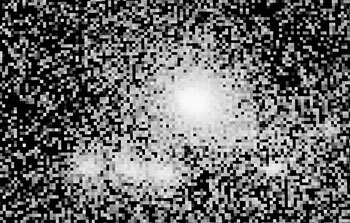 Although GEMINGA is the second strongest source of energetic gamma-rays in the sky, its optical image is extremely faint and the real nature of this strange object has long been a subject of debate. The present break-through became possible when the astronomers discovered and accurately measured the object's motion in the sky. As a consequence, GEMINGA is now believed to be the closest neutron star known to us, at a distance of no more than 300 light-years, possibly even smaller. 2 October 1992: A new planet has just been found in the outer solar system. Although the observations do not yet allow an accurate determination of its orbit, it appears that it is situated about 6,000 million km away, outside the orbit of the outermost, known planet, Pluto. 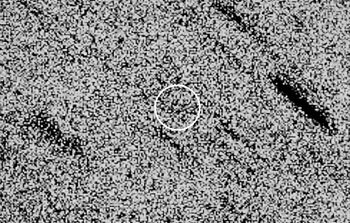 No other object has ever been found this far out in the solar system. 14 September 1992: An exhibition about Astronomy and the European organization for astronomy (ESO) will soon open at the Science and Technical Museum "Leonardo da Vinci" in Milan, Italy. A Minor Planet With a Tail! 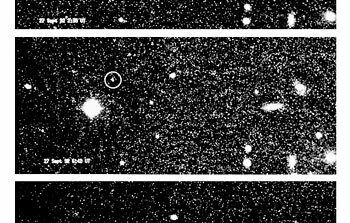 18 August 1992: Minor Planet (4015) was discovered in 1979. It is of the Earth–crossing "Apollo" type and moves in an elongated orbit around the Sun; the period of revolution is 4.3 years. 13 August 1992: Italian astronomers, working from the Astronomical Observatory in Trieste, have performed remote observations with the ESO 3.5 metre New Technology Telescope (NTT) at La Silla, Chile. 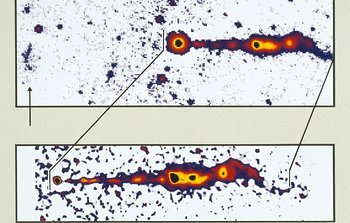 This is the first time ever that such observations have been made directly from an astronomical institute in one of the ESO member countries. 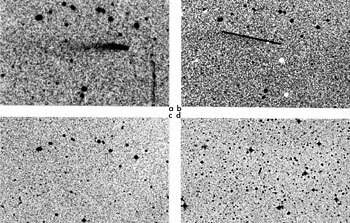 Quite unexpectedly, a "cosmic mirage", that is a gravitational lens in a distant cluster of galaxies, was found during these observations. 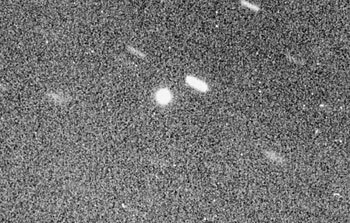 10 July 1992: This photo shows Comet Grigg-Skjellerup, as imaged by the ESO 3.6 m telescope at the La Silla Observatory in the early morning of July 10, 1992, just 15 hours before the Giotto encounter with this comet. The observation was made by Dr. Klaus Jockers from the Max-Planck-Institut für Aeronomie (Katlenburg-Lindau, Germany), and in the course of a special monitoring programme in support of the Giotto Extended Mission. The digital image was transmitted to the ESO Headquarters in Garching via the permanent satellite link, immediately following the observations. The photo is a composite of four one-minute red-sensitive exposures. The other objects in the field are galactic stars. 10 June 1992: In its 67th meeting in Garching on June 4 and 5, 1992 the Council of ESO appointed Prof. Riccardo Giacconi as Director General for the period 1993-1997. He succeeds Prof. Harry van der Laan whose five year term ends this year. 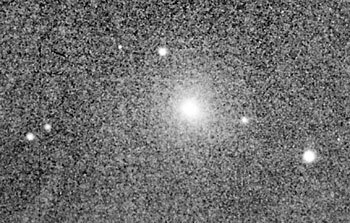 7 May 1992: NASA's Hubble Space Telescope (HST) has revealed an unusual and fascinating new optical jet in the nucleus of the elliptical galaxy NGC 3862. 22 April 1992: The photo shows a model of the ESO 16-metre equivalent Very Large Telescope (VLT), as it will appear on the Paranal mountain in the Chilean Atacama desert towards the end of the present decade. The VLT will become the world's largest optical telescope when it is ready. 21 April 1992: On April 24, 1992, the French Minister for Research and Space, Professor Hubert Curien, will inaugurate a unique, new optical facility of R.E.O.S.C  , at Saint Pierre du Perray, near Paris. The delicate polishing of the giant mirrors for ESO's 16-metre equivalent Very Large Telescope (VLT) will take place here. 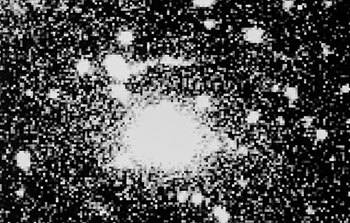 25 February 1992: Messier 87 (M87) is a giant galaxy, situated right at the centre of one of the largest and nearest clusters of galaxies, the Virgo Cluster; its distance is about 50 million light-years) and several thousand galaxies belong to this cluster, but none is brighter and heavier than Messier 87. 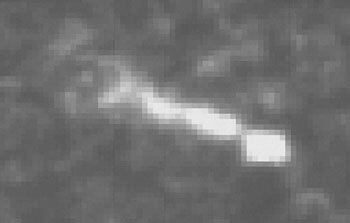 Already in 1918, photos showed the presence of a jet in M87, i.e. a long and thin feature, extending in a westerly direction from the centre of this galaxy. This jet bears witness to the violent processes at the centre of M87 and has led many astronomers to think that there is a giant black hole in there. Recent observations with the Hubble Space Telescope have strengthened this suspicion. 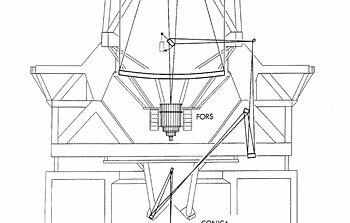 5 February 1992: The ESO 16-metre equivalent Very Large Telescope (VLT)  will be equipped with technologically advanced instruments that record the light collected by the large mirrors.